It should come as no surprise to most ct homeowners that windows are one of the main culprits of heat loss in a home. 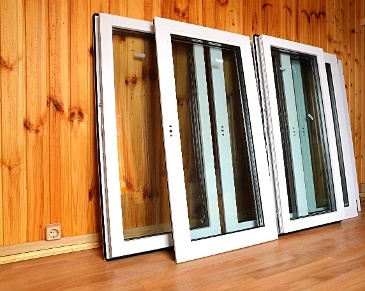 Energy efficient windows a suitable idea for a home improvement project, but no matter how wonderful your windowpanes are, they do not do much good without proper installation and window sealing. Once you have noticed a draft coming from your windows-- or worse yet, rainwater infiltrating your window sill-- sealing windows in an immediate concern for the quality of your home's interior. This post will discuss how to appropriately seal your windows for cold weather. In many instances, sealing windows requires you to install weatherstripping. This is one of the most cost effective ways to seal your windows, and it can offer an effective shield against the outdoor elements. Weatherstripping can be installed in traditional strips or with self-stick foam (which can be incredibly difficult to work with). For more involved window sealing, you will need some form of window flashing. Window flashing is the process by which a seam or crack is made weatherproof. In essence, simple weatherstripping is a diluted version of window flashing. A window seal can be created using caulking and tape, although there are more advanced systems, which utilize specialized foam. If you have older windows and you know they need to be sealed, you may want to consider the installation of replacement windows ct. Obviously, your window sealing issue will be resolved with the installation of the replacement windows. Many ct homeowners come to find out that when their window is sealed, the draft or leak is eliminated but the area still isn't as warm as it should be. Single glazed windows will not perform well even when they are sealed and double glazed windows are only marginally better. Even double-glazed windows may need to be re-sealed after a few years, so now may be a good time to consider an upgrade. Minimally, you should get quotes for both window sealing and ct replacement windows to determine cost efficiency. Should You Hire a Window Installer or a Handyman? Depending on how detailed your window-sealing project becomes, you may just need to hire a handyman or window installer. If you have decided that you need a basic window sealing, you should be able to find a handyman who is capable of installing weather-stripping or window flashing. However, if you have other small home improvements on your home improvement wish list, a handyman can come to your house and take care of multiple projects during the same visit, which will save on the labor costs of your home improvement projects. Whether it is a specialty Connecticut window contractor or a know-it-all neighbor, perfect window work offers your home more security and thermal protection. If you choose to hire a contractor, make sure you ask for references, estimates and detailed contracts and warranties before officially beginning any project with them.